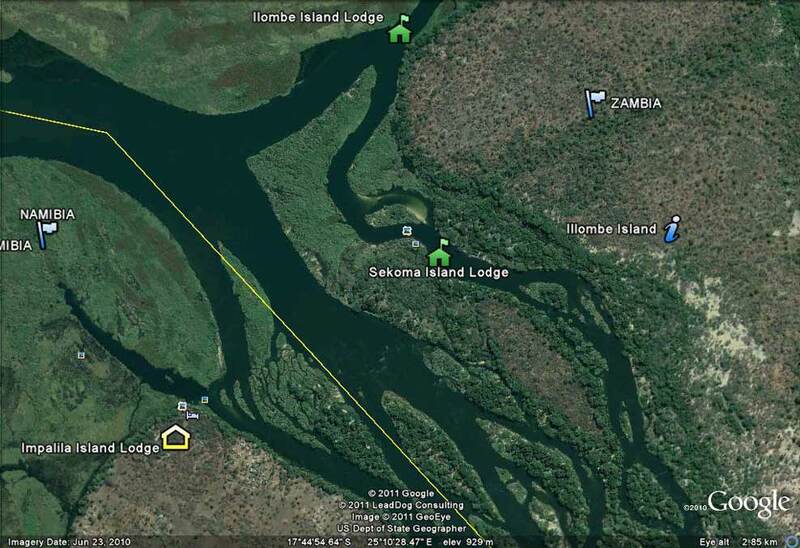 Sekoma Island Lodge is located 95km West of Livingstone, Zambia and 4km North of Kasane, Botswana at the far eastern point of the Caprivi Strip. The island lies on the Zambezi River border with Namibia. Sekoma Fishing uses Nationwide to fly guests from Johannesburg to Livingstone. Nationwide has two flight daily. First flight leaves at 11h20 and arrives in Livingstone at 12h55 and the second flight leaves at 12h15 and arrives at 13h55. There is road transfer from Livingstone to the village of Mambova which takes approximately 1hr 20 mins from the airport to the Mambova jetty. At the harbour, a boat will await your arrival and take you on leisurely 15 minute cruise to the lodge. for more information please contact us via our contact page or please email us.